Mega Moolah is the world famous online slot machine which offers a multi-million jackpot which is guaranteed to be over £1 Million. Mega Moolah Slot was first launched in 2007 by acclaimed casino games provider Microgaming and is one of the biggest progressive slot machines you'll find online. With a name like 'Mega Moolah' this slot lives up to it's moniker by changing people lives overnight; literally making them millionaires in just one spin. Mega Moolah is available to play at most online casino sites, so have a look around our Mega Moolah Jackpot guide and find out about previous winners, how to play Mega Moolah and which slot sites are worth a visit. Is The Mega Moolah Jackpot Legit? Before we go any further, a question we’re usually asked is ”Is Mega Moolah Legit?”. The answer is of course, yes it is! Very much so. It's a valid question if you think about it. An online slot machine which pays out multi millions? Seems t good to be true. But is isn't, it's very much real and legitimate. The beauty of this game is that since it's been online for a decade, it not only has dished out several juicy jackpots, it's also gotten quite a name for itself. What's more, as Mega Moolah is a slot by Microgaming, you're able to play it at many online casino sites. Just do a quick check in Google: you'll be able to read many stories about past winners and see this game is very much genuine. How Does Mega Moolah Slot Work? Mega Moolah Slot actually offers you the chance to win one of four progressive jackpots. Aside from the main 'Mega' jackpot which boasts a guaranteed million in prize money, there are also 3 smaller jackpots which vary in size, which are called Major, Minor and the Mini. Mega Moolah is a progressive slot which means that the jackpots are ever growing and increasing. They do this how? They are pooled, that's how. This simply means that for every wager a player makes across the network of casinos which are offering the game, will contribute to the jackpots. This is how the jackpots grow so large over time, and enables the main Mega jackpot to grow as large as several million! How & Where To Play Mega Moolah Slot? It's easy to play Mega Moolah Slot. You’ll need to first access a recommended online casino which not only offer Microgaming casino games, but ones which also offer Microgaming progressive jackpots. Make sure you check as not all of them do. You can check out our recommended Microgaming casinos in this Mega Moolah Jackpot Guide to help you find an online casino site which suits you the best. There has been many lucky Mega Moolah Jackpot winners over the past decade. The biggest Mega Moolah jackpots won have been £13 million and some varying amounts in between. The great thing about this game is that when the jackpot grows to an insane amount, more and more people are attracted to playing it, which only helps it grow even larger. You can read all about Mega Moolah Past Winners here. Due to Mega Moolah’s popularity, there have also been several offshoots of the game which are designed with different themes. 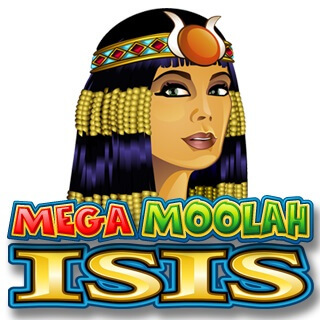 These include Mega Moolah Isis Slot which offers a Goddess of the Goddesses Egyptian theme. There’s also Mega Moolah Summertime Slot, which offers a fun, citrus filled Summertime theme, as well as Mega Moolah 5 Reel Drive Slot, which is a brilliant classic car themed game. The good thing to know is they all share the same jackpot as the original Mega Moolah Slot, so it's up to you which version of Mega Moolah that you prefer playing -you'll still have the chance to taking home the mega jackpot. Slightly off topic but still relevant, Microgaming recently launched a new branded slot called The Dark Knight Rises which is based on the popular film of the same name. The Dark Knight Rises Slot also shares the very same Mega Moolah jackpot, so if you really fancy something different to play, you can try this game too!